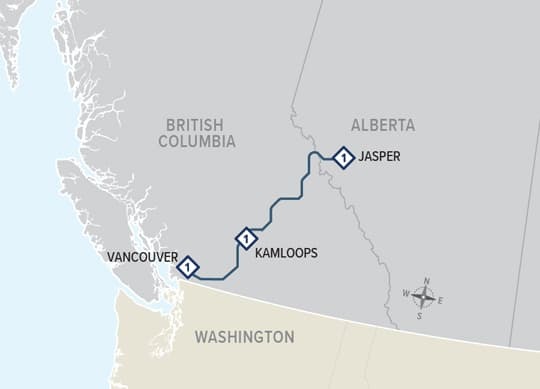 This Rocky Mountaineer rail journey includes a two day, all daylight journey on the Rocky Mountaineer in your choice of SilverLeaf or GoldLeaf Service, breakfast and lunch on the train both days, three nights hotel accommodations, all hotel/train station transfers and luggage handling. 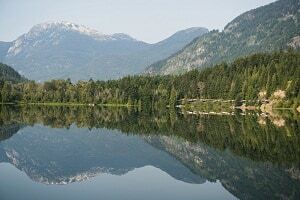 SilverLeaf and GoldLeaf Service are available on the Rocky Mountaineer in both directions between Vancouver and Banff, Vancouver and Lake Louise and Vancouver and Jasper. 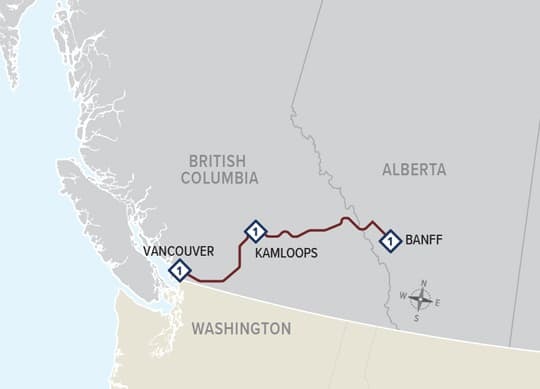 All Rocky Mountaineer Classic Rail Vacations include a hotel night in Vancouver (or Whistler), a hotel night in Kamloops and a hotel night in the Canadian Rockies: Banff, Lake Louise or Jasper. 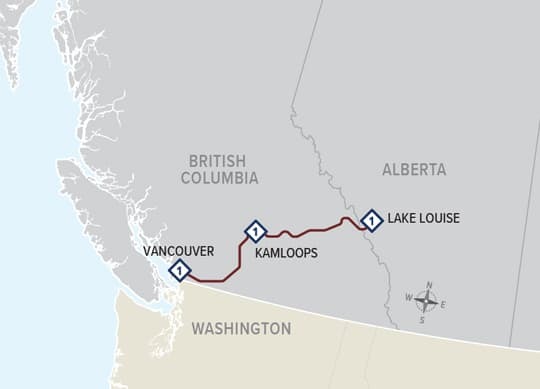 Rocky Mountaineer’s Classic Rail Vacation begins with an overnight stay in Vancouver from April 14 to October 10, 2019. It begins with an overnight stay in Banff, Lake Louise or Jasper from April 16 to October 12, 2019. All tour start dates are listed below. GoldLeaf Deluxe – GoldLeaf Service on the Rocky Mountaineer and upgraded rooms at your overnight accommodations.